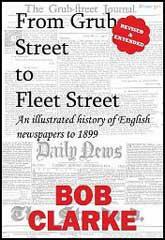 In 1842, Herbert Ingram, a young printer and newsagent from Nottingham, arrived in London. As a newsagent he noticed that when on the rare occasions that newspapers included woodcuts, their sales increased. He therefore came to the conclusion that it would be possible to make a good profit from a magazine that included a large number of illustrations. Herbert Ingram discussed the proposal with his friend, Mark Lemon, the editor of Punch magazine. With Lemon as his chief adviser, the first edition of the Illustrated London News appeared on 14th May 1842. 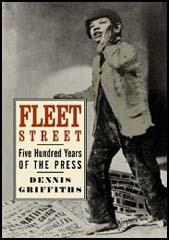 Costing sixpence, the magazine had sixteen pages and thirty-two woodcuts. The first edition included pictures of the war in Afghanistan, a train crash in France, a steam-boat explosion in Canada and a fancy dress ball at Buckingham Palace. Ingram was a staunch Liberal who favoured social reform. He announced in the London Illustrated News that the concern of the magazine would be "with the English poor" and the "three essential elements of discussion with us will be the poor laws, the factory laws, and the working of the mining system". Later Herbert Ingram was to become MP for Boston and until his death in 1860 continued his campaign for social reform in the House of Commons. Illustrated London News to bring an end child labour in the mines. The London Illustrated News was an immediate success and the first edition sold 26,000 copies. Within a few months it was selling over 65,000 copies a week. Encouraged by the success of the Illustrated London News, Ingram decided in 1848 to start a daily newspaper, the London Telegraph. High prices were charged for advertisements and Herbert Ingram was soon making £12,000 a year from his publishing venture. When Andrew Spottiswoode started a rival paper, the Pictorial Times, Ingram purchased it and merged it with the Illustrated London News. In 1855 Ingram took over another rival, the Illustrated Times. Special events were important to the success of the London Illustrated News. The magazine did very well during the Great Exhibitionof 1851 and over 150,000 copies were sold of the edition that reported the funeral of the Duke of Wellington. The Crimean War caused a further boast to sales and by 1863 it was selling over 300,000 copies a week. This was far higher than other journals. For example, newspapers such as the Daily News only sold 6,000 copies at this time, and even the largest selling newspaper, The Times only sold 70,000 copies. In the 20th century the London Illustrated News employed Britain's top artists including Frank Reynolds, Henry M. Brock, Fortunino Matania, H. M. Bateman and Lewis Baumer. Bravo! Mr. Brown, we would at once exclaim for the boldness of representing as your principal hero that potent agent in the work of British civilization, the excavator or navvy. We applaud, also, the variously suggestive, and by no means squeamish, way in which the theme Work is illustrated, positively and negatively. We applaud, we repeat, the honest effort to represent the actualities of workaday life.